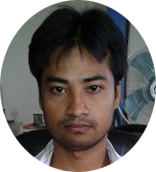 I am a white hat SEO expert and consultant with over 8 Years experience. Including SEO backlinking, social bookmarking, directory submission, article writing, article submission, video editing, classifieds posting, SEO keyword research, blogging, web design. I worked in Real SEO company for 6 years and then quit to start freelancing full-time. I am in 8 years as a freelancer. I have helped a great number of website improve their ranking in search engine. I am experienced in backlinking, social bookmarking, directory submission, article writing, article submission, video editing, video making, video posting, image submission, facebook, twitter, linkedin, Pinterest, Tumblr, classifieds posting, keyword research, blogging, web design etc. I am always willing to learn and willfully familiarize myself with the website in order to provide the best possible support to clients. I am flexible with respect to working hours. Deadlines are very important for me with any existing freelancers you work with. I will review your content as many times for giving you a better your expectations! I am looking forward to hearing from you! ! !